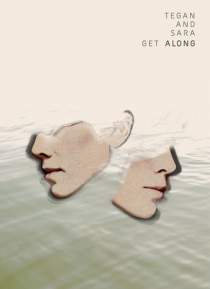 Tegan and Sara "Get Along" is a collection of 3 films that gives a rare and intimate look into the lives of these two widely celebrated songwriters, performers, and musicians. The first film - STATES - is a 30-minute documentary that illuminates their early career beginnings and their unique connection with their fanbase. The second film - INDIA - is a 25-minute documentary shot during Tegan and S… ara's first-ever tour of India to chronicle diverse reflections on road life. The third film - FOR THE MOST PART - is a special stripped-down studio concert, shot with a live audience over two days in Vancouver, BC.